Children love swinging motions and the traditional swing is always a popular item in any playground. Allowing for the interaction on adults with children the swing is an essential element to every playground. The “Mirage” seats are suitable for all inclusive play as they support children with full back and side supports. The inclusion of seat belts ensure total safety for all children while swinging. 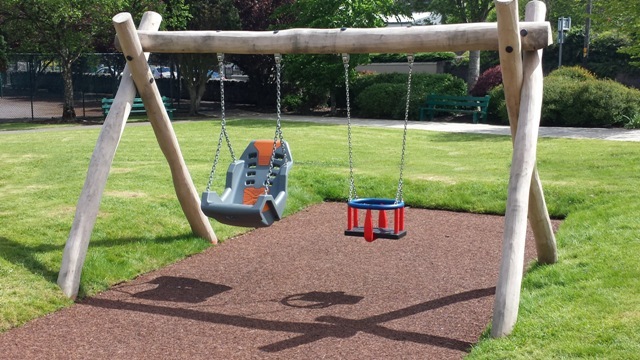 The inclusion of this swing seat within a playground ensures children of all physical abilities can enjoy swings. Materials: Rubber seats with steel inserts and security fastenings.